– Neutrogena Ultimate Sport Face Sunblock Lotion, SPF with Helioplex br Broad Spectrum UVA-UVB 2 2 Won t Clog Pores or Cause Breakouts 1 Ultra Sweat resistant, Water resistant 3 Breathable, Clean feel 5 Fragrance Free 4 Oil Free PABA Free #1 Dermatologist Recommended Suncare Questions of Comments? 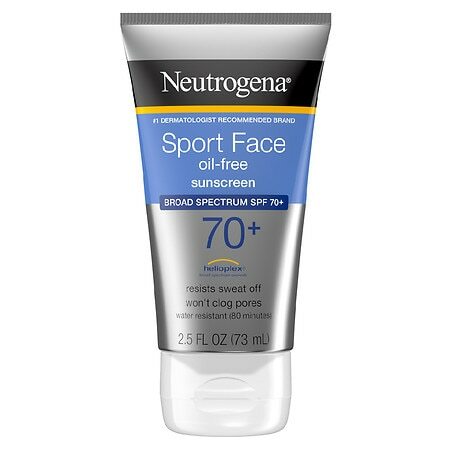 br 1-800-299-4786 (USA) The American Cancer Society (ACS) and Neutrogena, working together to help prevent skin cancer, support the use of sunscreen. – Neutrogena pays a royalty to the ACS for the use of its logo. – The ACS does not endorse any specific product. Return policy of Walgreens.com: Products may be returned either to a store or by mail within 30 days of purchase and must be accompanied by the original receipt included with the shipment.